A very large warbler, which may be confused with Clamorous Reed Warbler. 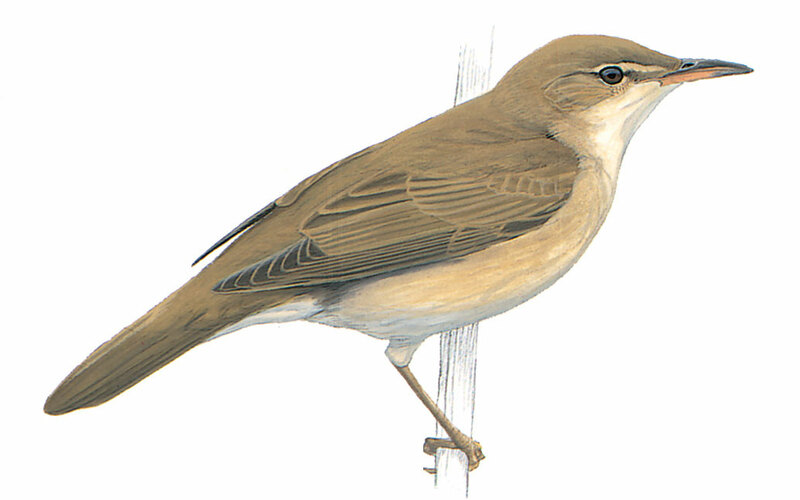 It looks like European Reed Warbler but is much bigger with a more prominent supercilium and heavier bill. Compared to Clamorous Reed Warbler, it has a longer primary projection ( 7 - 8 tips showing) A proportionally shorter tail and a shorter,slightly stouter bill.